I finally got to Craft, the real deal. 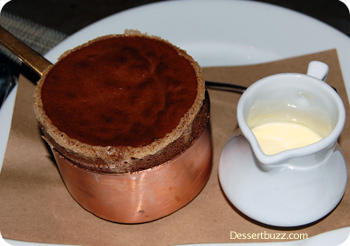 The chocolate souffle lived up to expectations and set a new standard. 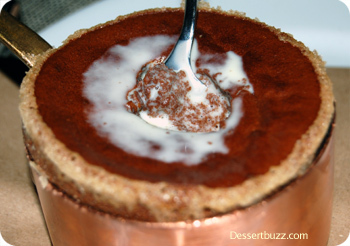 I will forever look at other souffles through Craft colored glasses. 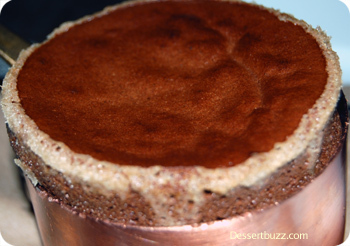 Served scalding hot in its own copper kettle pot this souffle packed rich deep dark chocolate flavor. The pre-deflated un-punctured chocolate souffle. It seemed a shame to put a hole in this piece of art. Craft is located at 43 East 19 St. Their website is here.